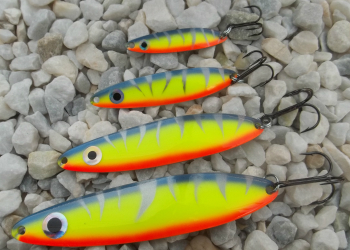 The Heavy Weight spoon is an outstanding lure to use casting and deep water jigging. It works very well for many different species of fish. You can use it casting for salmon, trout and pike and snap jigging for walleye and bass. This is a great spoon to have while open water and ice fishing.